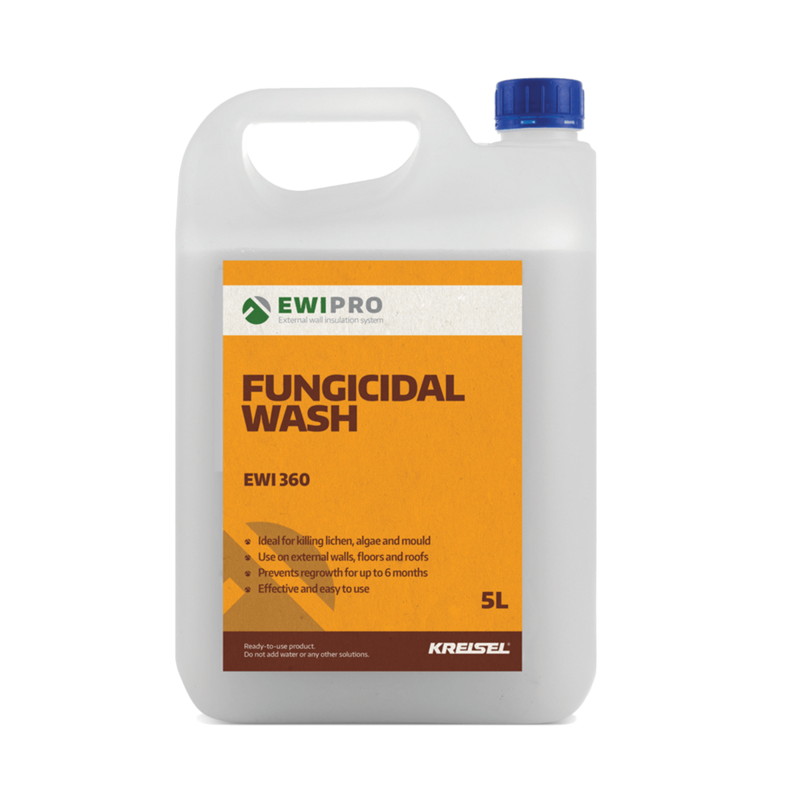 Fungicidal Wash is perfect for helping to prepare a substrate prior to applying our EWI or render systems. The product takes just 24 hours to kill all microorganisms on the substrate, including algae, mould and lichen. The wash can be applied using either a brush, sponge or cloth. 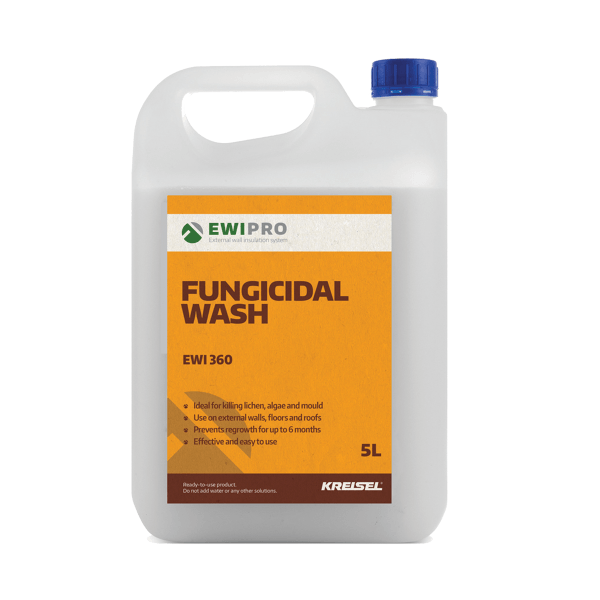 Fungicidal Wash can be used internally or externally on many different surfaces including brickwork, stone, wood and plaster. The active ingredient in the product is Benzalkanium Chloride, a proven biocide. Not suitable for adding to paints, primers or renders – the wash should be used as a standalone product. Fungicidal Wash should not be applied in rain or humid conditions, or if wet weather is expected before the wash has dried. Working time is typically 24 hours, after which the substrate should be washed down with water before rendering. EWI-360 is available in 5 litre jerrycans.